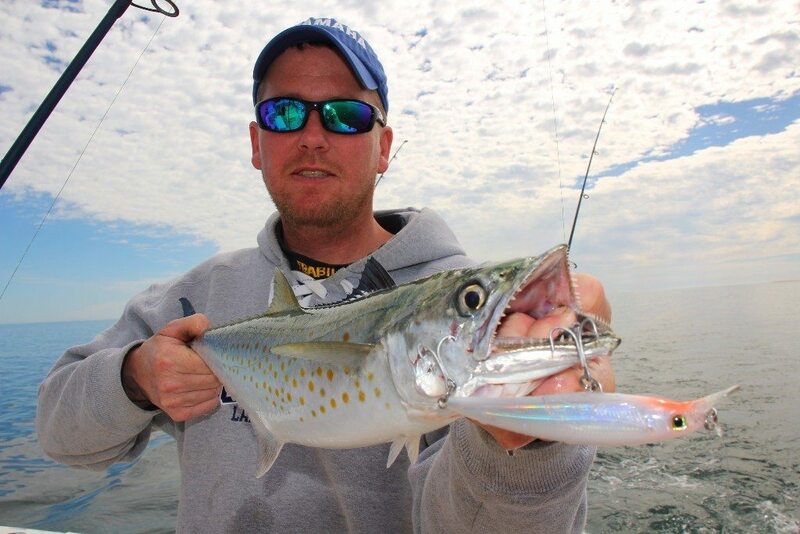 After a winter(off-season) hiatus, East Cape Fishing Reports return! We had an optimistic start to the “late winter bite”, with sporadic schools of striped marlin appearing in our fishing grounds in February. Typically, their arrival is dictated by sea surface temperatures; striped marlin enjoy temps in the mid-70’s. A generally mild winter had warmer-than-normal conditions, and some good numbers were being caught and released during the past month. However, our typical northerly winter trade winds tend to push cooler water down the peninsula, and the fish move south. Our most consistent bite has been for yellowtail, sierra mackerel, and a few skipjack and white bonita mixed in. As we roll into March, an uptick in water temps means an upswing in fishing, and a predicted hot start to the peak 2017 fishing season! We hope to see you soon on the East Cape!